Stylish and big-slope ready, the Obermeyer Jessi Insulated Ski Pant has all the features and protection you need. With 60g of insulation and Skier Critical™ seam sealing, you’ll keep the elements out while remaining toasty warm. And just because it’s warm doesn’t mean it has to be too hot thanks to the hidden Control Zone Ventilation™ system that lets you open gussets for easy cool down on tougher slopes. The articulated knees improve mobility while the EWS™ adjustable powder cuffs let her grow with her pants even if there’s a mid-season growth spurt. 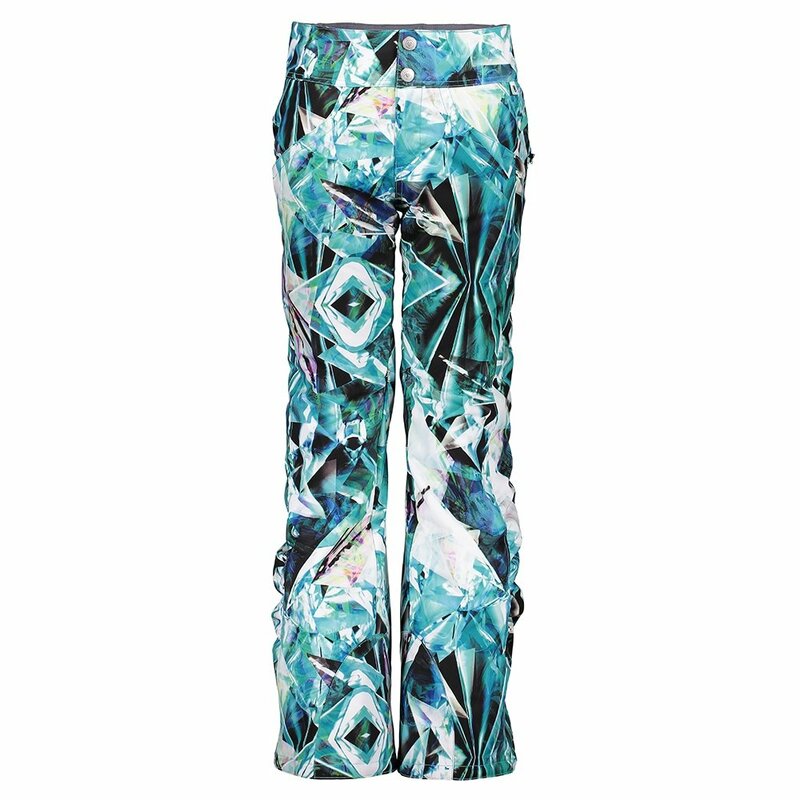 The Obermeyer Jessi Insulated Ski Pant comes in flat and colorful prints that suit any style.